LRCT Based Equipment is for Export only. 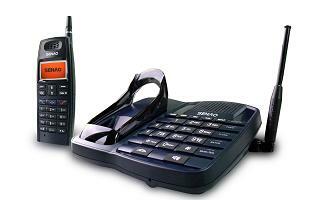 Welcome to Radio Telecommunication Systems.We Sell Ultra Long Range Cordless Telephone Systems. LRCT Stands for Long Range Cordless Telephone Systems.These VHF and UHF Cordless Phones systems have been around before the Introduction of Cellular Technology. Some of our LRCT's can be used up to 100km Range from the Base. They are simple and easy to use and very cost Effective. When Compared to Cellular Phones they are truly the Big Winner. There are no User fees and no Waisted Cellular Minutes, you are free to talk as long as you want. Choose between Senao - Megatel - Alcon - or FCC Approved EnGenius Models. 2. The New Senao ISO9001 SN-1258 is now available. This is one of the smallest LRCT handsets available in the world. 4. Our RTS Brand Name LRCT's link has been Set-up. One Model will be available soon. These have a Communication port on the bottom that is compatible with all of our Boosters. NEW PRICE SATISFACTION GUARANTEE'S - If you Ever find a price that is Cheaper then ours we will either meet it or BEAT IT!! * Up to 99 Handsets for one Base. Hours: 9am-5pm Eastern Standard Time. We take all major Credit cards through Paypal. All transactions are always secure and are processed by Paypal. You don't have to be a Paypal Memeber in order to make payment. This is the Worlds smallest and Lightest LRCT system. It has 6 different colour screen that change to identify the caller. Having 15 differnt caller rings plus a Vibration mode(first LRCT to have this).